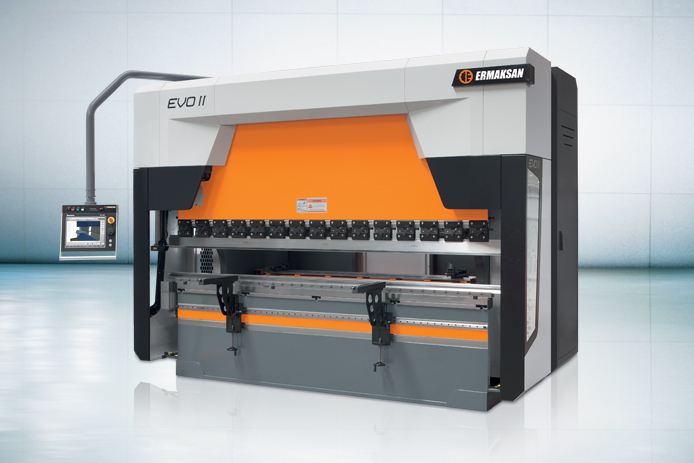 EVOLUTION II Hybrid Press Brake - G & W Machinery Sales, Inc.
Ermaksan presents the new generation hybrid press brake EVO-II, its most eco-friendly press brake ever with 60% energy savings. The new generation Evolution series press brake has high bending accuracy between +/- 0,01 mm. The new series press brakes are eco-friendly using comparably less energy than a standard pressbrake. An average 65% energy saving when used in comparison to standard press brakes. Noiseless (63db). The lowest noise level among its competitors. (TÜV-SÜD certified). 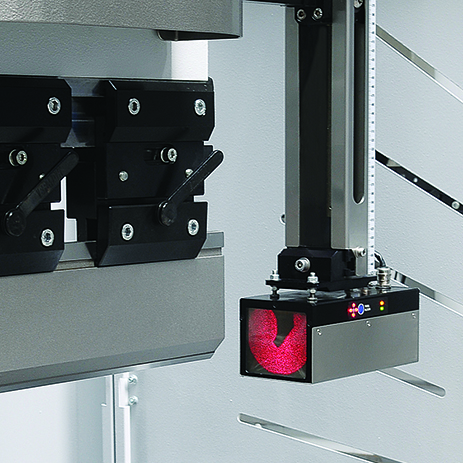 New generation press brakes are developed to require fewer oil changes. You are not required to change the oil for 7000 working hours. Oil is more durable than ever because the oil does not heat up thanks to the pumping system which does not run when the machine is at stand-by mode. Provides flawless bending for small parts at different points. The amount of oil used within the machine has been reduced by 95% in comparison to standard hydraulic pressbrakes of the same spec. This again helps to reduce manufacturing costs.